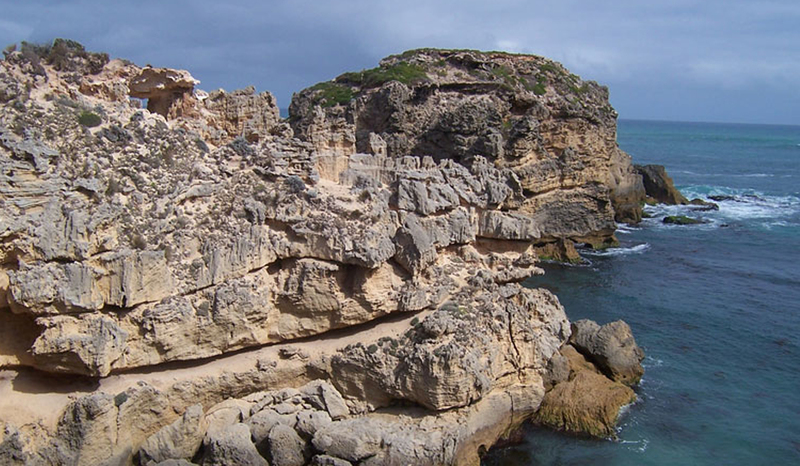 The rugged and aptly named, Limestone Coast, lies about halfway between Melbourne and Adelaide in Southern Australia. For a long stretch in the 19th and early 20th century, its reputation as a treacherous combination of fractured escarpments and hidden reefs and shoals was borne out by the long chronicle of wrecked ships that had misjudged their sailing or steaming courses. Just inland, however, its far more placid agricultural regions have been diligent in productively diversifying their traditional farming of cereals, pasture seed, vegetables, and livestock grazing. As of the 1960’s, they’ve also embraced the stepped challenges and rewards of grape growing and winemaking — so much so that they now produce 20% of South Australia’s total output. Among many desirable attributes in this terroir, including sun-drenched exposures in daytime offset by the cooling coastal breezes at night, are the prized Terra Rosa soils. Often associated with the Mediterranean basin generally, and Italy in particular, this composition of ancient weathered limestone results from the residual clay and non-soluble rock becoming oxidized; yielding the characteristic reddish colour; imbuing the soil with essential minerals and proper drainage for the vine’s root system. 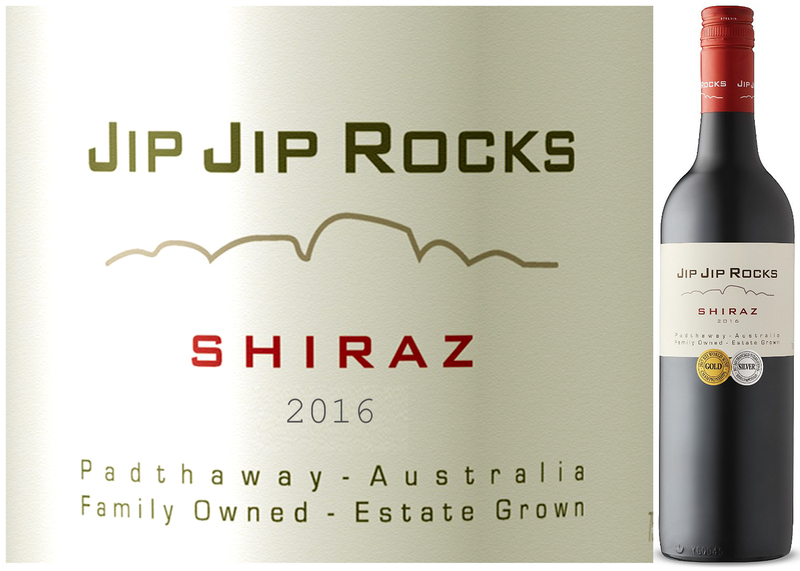 Punctuating 190 hectares on the Bryson Estate are outcrops and clusters of unusual, bulbous granite rock formations; providing an evocative namesake and brand graphic for their baseline range of wines: the Jip Jip Rocks. Spanning 5 family generations, over a 165-year history, the Bryson farming clan has made a significant contribution to Padthaway winemaking, having invested the last 50 yrs. in refining the cultivation of premium-grade, red and white wine varieties on their own Phylloxera-free rootstock. Clearly, all the vineyard management details matter to the dedicated trio of Bryson brothers — they’re also at ease with the sentiment that what ends up in the bottle is ‘serious fun’! After spending a year in a combination of new and 2nd use, American and French oak barrels, this week’s DéClassé featured varietal bottling of Shiraz was finished by blending batches from the 2016 vintage. With another year spent in the bottle, it’s ready to go now, though will develop even more balance if left on your rack for several more years. If you like your dry reds on the somewhat wilder and heftier side, with some youthful fruitiness and acidic vibrancy still at the forefront, then you should rush to the LCBO’s Vintages section to get ahead of the anticipated crowd of in-the-know fans! Along with the dominant Currant, earthy Cherry, and Mulberry flavours, this fairly fulsome red also incorporates subtle mocha and clove notes. The spiced aromas and toasted influence of oak are pronounced, though deftly integrated into the wine’s supple and layered body. Try serving with marinated flank steak, smoked ham hock and braised cabbage, hearty stews or mature cheeses. White Burgundy still ranks among the wine world’s most famous grape varieties and the benchmark styles from its namesake terroir remain a gold standard. We’re of course referencing Chardonnay. It has also done very well in California, where climate and drinking taste converged in the 20th century, providing a significant cornerstone upon which a young wine industry was initially built-up, then broadly diversified. The widespread popularity of particular wine styles is subject to cycles. A rapid rise for Chardonnay as a staple table wine in North America was followed by a degree of consumer fatigue — clearly expressed in a somewhat derisive and unfortunate acronym: ABC (‘anything but Chardonnay’). Within the broad range of finishing styles that includes both sparkling and still wines, the world’s most planted white wine grape is enduring and defying the fickle nature of fashion. Finished Chardonnay is a definitive winemaker’s wine in that the characteristics commonly associated with it: highly aromatic, a buttery mouthfeel, tropical or stone fruit flavours, notes of vanilla, etc. — are all methodically coaxed results from a relatively neutral grape. From time to time, the experimentation has translated into an individual characteristic overshadowing others. As Chardonnay is one rare example of a white wine being suitable for barrel ageing, overly-oaked versions of less-select grape harvests contributed to the decline in reputation and desirability for ever-more discerning drinkers. With the development of the grape in other cooler climate vineyards, fresh and vibrant expressions of Chardonnay are more common again, and arguably, truer to the balance in the originating style from Burgundy. 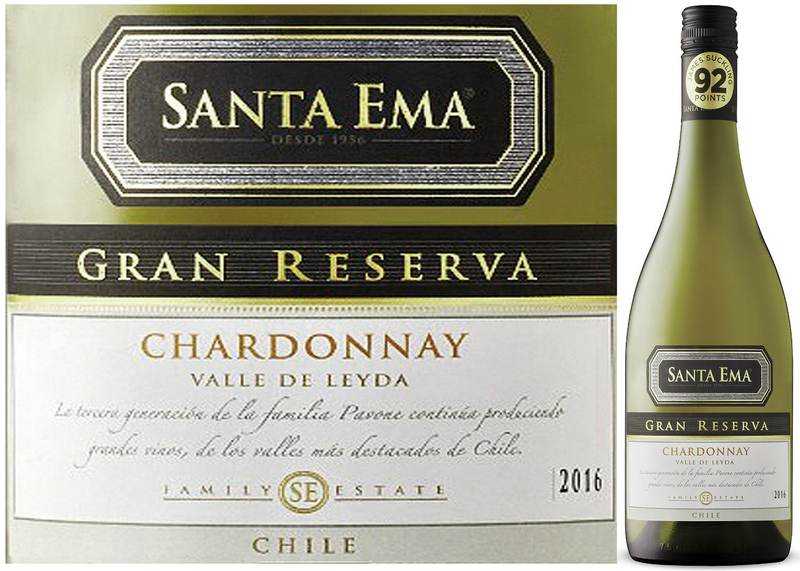 This week’s recommended bottle is a balanced reinterpretation of classic French Chardonnay, though hailing from vineyards in Chile – and highly deserving of a revisiting and re-appreciation. One of the relatively younger Chilean wine regions is the San Antonio Valley, which in turn, is made up of a collection of branch valleys: Rosario, Malvilla, Cartagena, Lleoleo, Lo Abarca, and the second home of this week’s DéClassé featured vintner in Leyda. This valley’s floor sits on top of a dry, ancient riverbed that accumulated its desirable loam soil over millions of years: a silt mixture of sand, clay, and crushed granite. Somewhat ironically, given that it lies just 10km inland from the ocean, this is generally arid terrain. However, since 2001 the inventive Leyda wineries have been constructing pipelines to access water from the Maipo River and using the precious resource to feed their sustainable drip irrigation systems. With a climate influenced by the valley’s 100-meter altitude and the Humboldt current of the Pacific, the daily cycle of fog-bound mornings giving way to sunny afternoons combines with the mineral-rich soil base to create an ideal terroir for cultivating Chardonnay. Early in the 20th-century, Pedro Pavone-Voglino emigrated from the well-known Piedmont region in Italy to begin an intrepid adventure that circuitously led him to the fertile valleys of Chile. Decades of subsequent practice in grape-growing would eventually culminate in the founding of a fully-fledged winery in 1956. Flash forward 70 years and you arrive at the expert capability of fashioning Santa Ema Gran Reserva Chardonnay, 2016. With the investment of 8 months in French and American Oak Barrels, during which 40% of the blend rested on its Lees (expired yeast), this very well crafted wine credibly substantiates the numerous, aptly framed accolades for Viña Santa Ema: ‘Wine Spectator’s Top 20 World’s Finest Value Brands’ and ‘Value Winery of the Year by Wine & Spirits magazine.’ Who am I to argue with those credentials; nor should you – so, buy at least two (or three?). This bright golden-yellow, full-bodied, barrel-aged wine with a significant alcohol content, playfully combines aromas of lemon balm with ripe tropical fruit flavours of passion fruit and banana along with subtle toast and vanilla accents. If serving as an apéritif, try with smoked salmon and Gruyère cheese. As a main course complement, herb-roasted chicken and Parmesan polenta, grilled Trout, oysters and mussels, seared sea scallops, crab cakes or pasta in light cream sauces – are all good choices.